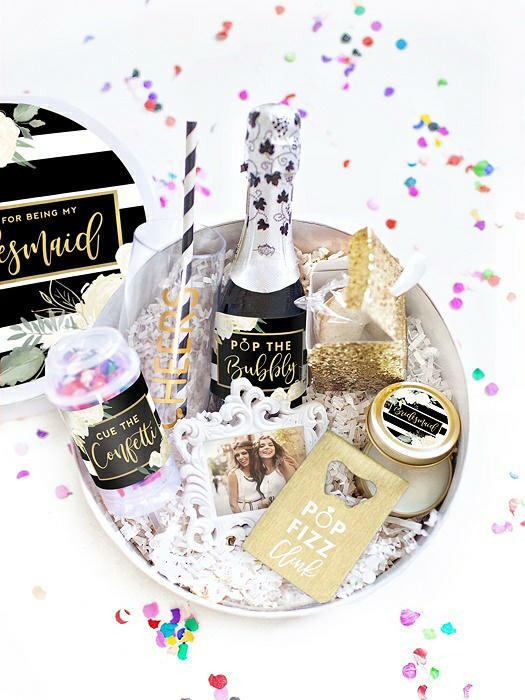 Dessy Group and White Confetti Box have partnered to create chic Bridesmaid Gift Boxes to either ASK or THANK your girls for standing beside you! These beautiful Bridesmaid Boxes are a stunning way to show your girls that they are a truly important part of your big day. 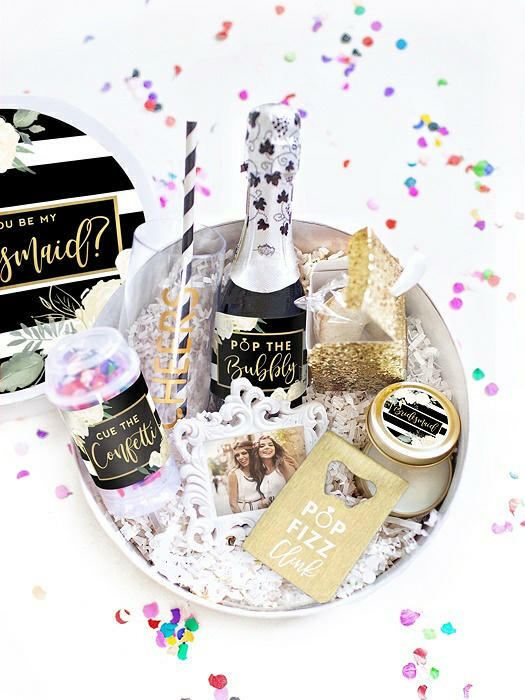 The signature White Confetti Box is an all-white, round hat-style box loaded with gifts & inspired by all things pretty. 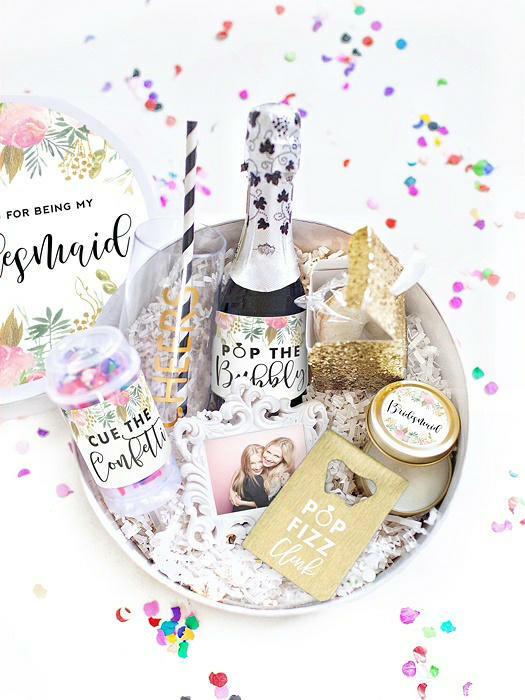 Your Bridesmaid Box will be quite literally jammed with glittering gifts to celebrate your bridal party! The sturdy, high-gloss laminated exterior is a beautiful and quality finish. These boxes are trendy, sturdy & reusable.